Features and benefits of Snap Frames. 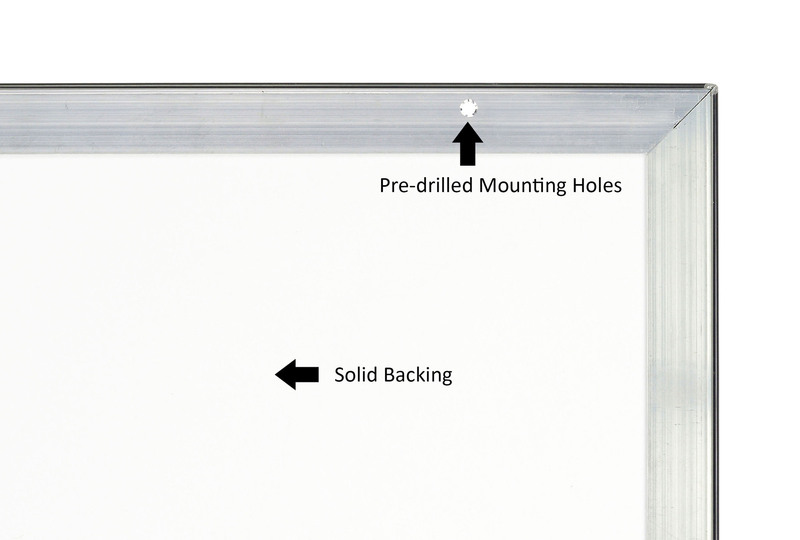 A snap frame is one of the simplest ways of displaying posters and signs. The front hinges snaps open making it easier to change posters. 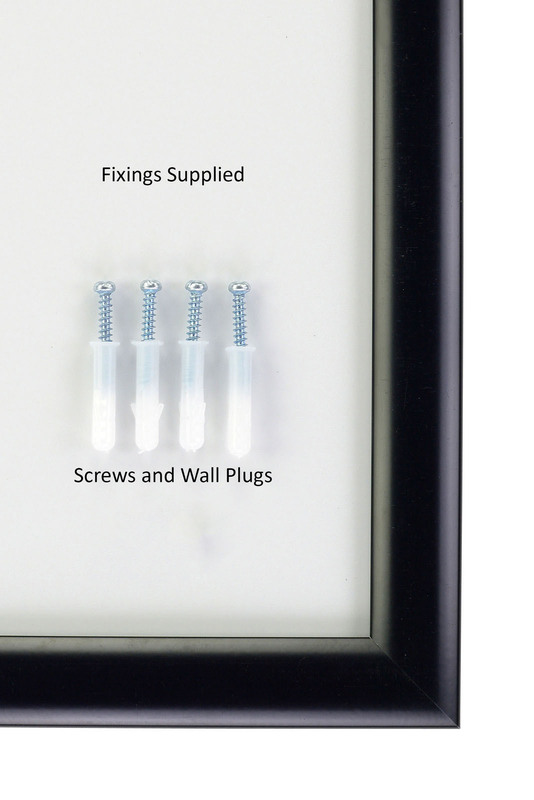 No tools are necessary and clip frame does not need to be removed from the wall. 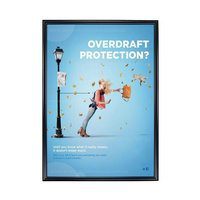 Posters will stay in excellent condition thanks to the PVC protective cover. The screw holes are hidden when the front cover is closed. 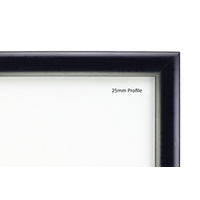 Poster frames can be hung portrait or landscape. They are suitable for the home to showcase your favourite poster, evacuation diagrams in public areas such as hospitals, community centres, movie theatres and shopping centres. 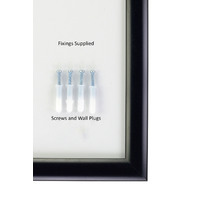 The snap frame is single sided, it can be clipped open from all four sides. Once clips are open remove the PVC cover and insert the required poster. How wide is the snap frame? 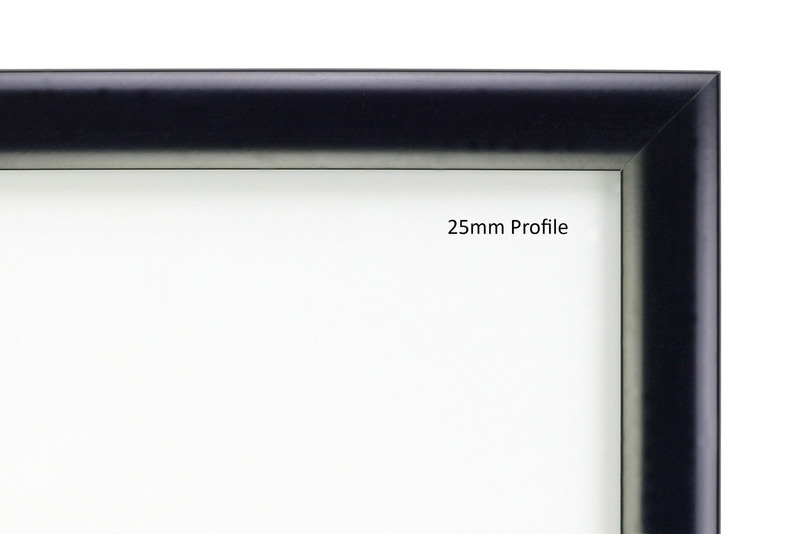 The frame profile is 25mm wide and this creates a 10mm overlap of your poster on each side. The frame stands out approximately 10mm from the wall. How is the frame mounted? 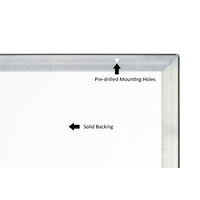 The aluminium Snap Frame comes with pre-drilled holes and with wall fixings and screws ready for mounting. You can also use double sided tape to mount the snap frame to a wall. 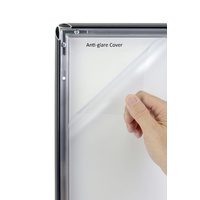 The frame is made from aluminium with a white non transparent backing and protected by anti-glare PVC cover. Is there different types of front covers? 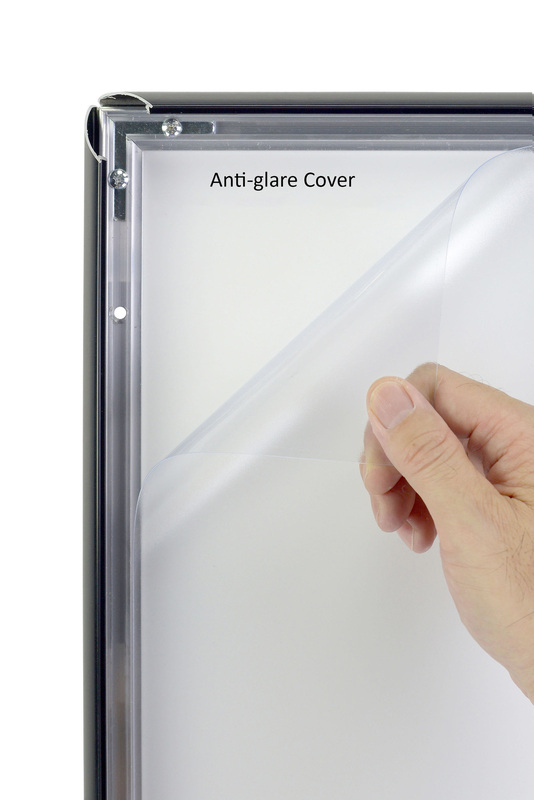 Anti- glare PVC covers and mostly used internally to prevent the glare on the poster. The anti glare cover takes away from the sharpness of the poster details. This is the cover that is supplied with the snap frame. 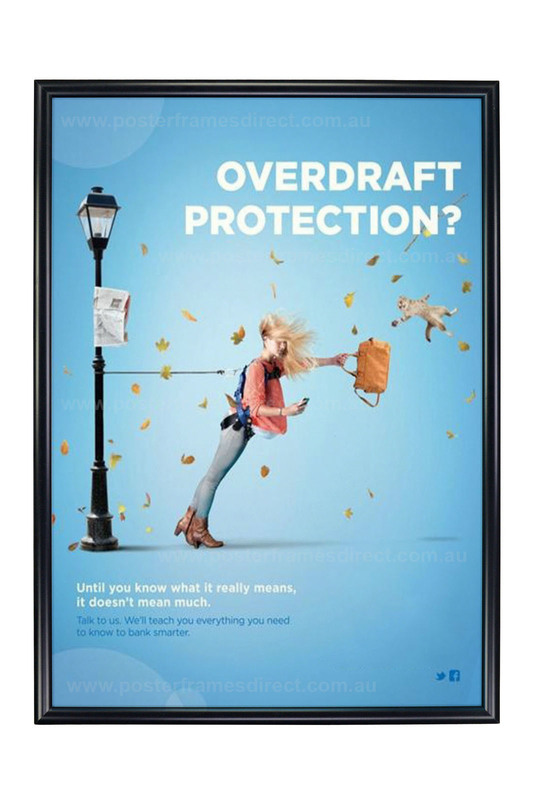 Clear PVC covers are used when the lighting does not affect the posters and you require a much sharper image. If this cover is required it must be purchased seperately. Polycarbonate is the third option and it is used for outdoors. This cover is UV resistant and does not shrink or turn yellow outside. If this cover is required it must be purchased seperately. Yes, however you should print on waterproof paper. If you are going to use the snap frame outdoors a outdoor Polycarbonate cover must also be purchased to prevent the cover from turning yellow or shrinking. What thickness paper can I use?